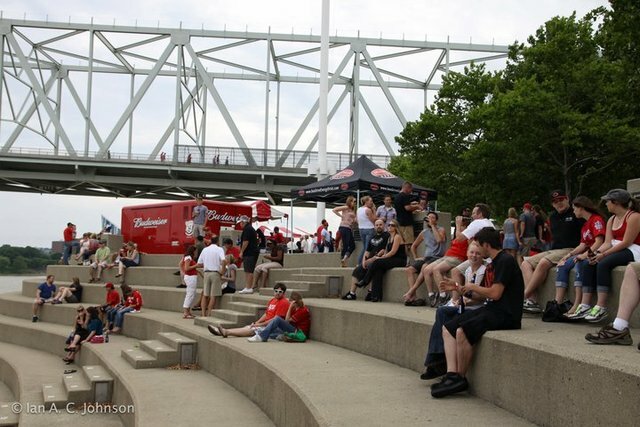 CINCINNATI -- For 41 straight summers, Greater Cincinnatians spent their Wednesday evenings at an outdoor happy hour on the riverfront, meeting old and new friends while dancing to local cover bands. 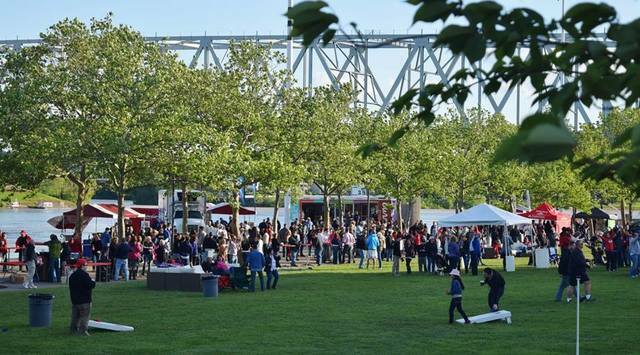 An arm of the Cincinnati USA Regional Chamber started Party in the Park in 1976 as a way to entice workers to stay Downtown after they clocked out for the day. Parties took place every other Wednesday at Yeatman's Cove. 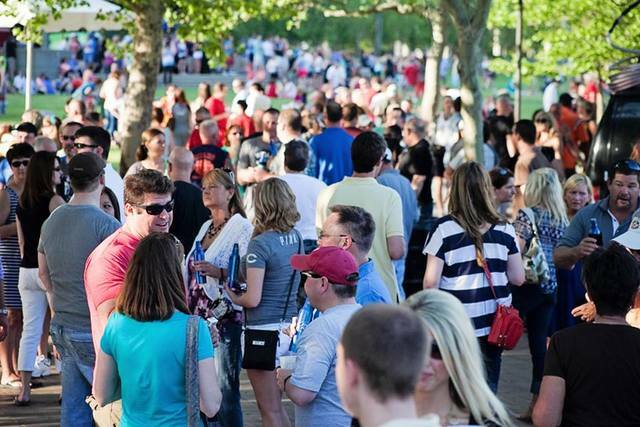 In its heyday, Party in the Park drew so many people that Q102, the event's promotional partner, started a second series, Party at the Point, on opposite Wednesdays in the adjacent Sawyer Point. For a time, Party in the Park was, as Naked Karate Girls bass player Jimmy King put it, "a staple of summertime." But in 2016, in an effort to attract more young professionals, the Chamber rebranded the concert series as 5:13, adding food trucks, guest bartenders and games. As it turned out, though, that would be the event's last blast: In March 2017, the chamber announced that the series wouldn't be returning that summer. Although they're gone, the parties still have their place in the city's collective consciousness. As summer comes to a close, here's a look back at Party in the Park with some of the people who made the events happen for so many years. Debra Richardson started Party in the Park in 1976 when she was executive director of the Downtown Council, then part of the Cincinnati USA Regional Chamber. (The chamber changed the name a few years ago.) She's now retired. Cynthia Oxley is director of sponsorship and community events at Cincinnati USA Regional Chamber. She organized Party in the Park from the time she started with the Chamber in 2001 until the series ended. Mike Fredrick is vice president and market manager at Hubbard Cincinnati, parent company of Q102 (WKRQ-FM). 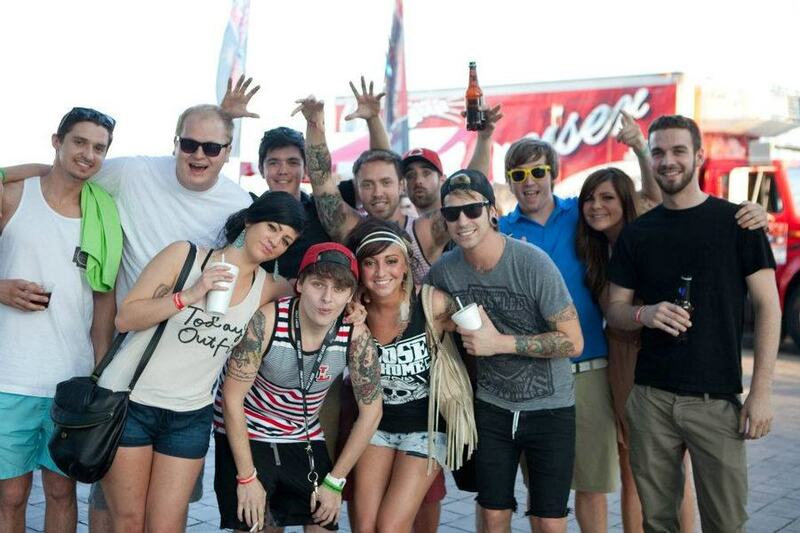 The radio station was Party in the Park's promotional partner for a time. Fredrick was sales manager at the radio station when it started its own Party at the Point series. John Schutte is a keyboard player and singer in the local band the Rusty Griswolds, a perennial favorite at the event. Jimmy King is bass player in the local band Naked Karate Girls, also a perennial favorite at the series. Lyndsey Longshore is marketing manager at Heidelberg Distributing. The company distributes Bud Light, a longtime beer sponsor for the events. Rich Walburg is director of communications for the Cincinnati USA Regional Chamber. He attended the series early in his career, while working at Q102 in the late '80s and early '90s. He joined the Chamber in 2015 and was involved with Party in the Park at its end. When Party in the Park got its start, and for many years thereafter, Downtown and Over-the-Rhine weren't the busy bar and restaurant scenes we know today. Debra Richardson: "People would go to work and then take the bus or their transportation home. We started Parties in the Park to keep people Downtown, to go to the bars and out to eat." Cynthia Oxley: "The whole reason behind it was getting the businesspeople to stay Downtown after work and help the vibrancy of Downtown." Mike Fredrick: "There wasn't the renaissance of Downtown like it is now. The Banks weren't happening like they are now and all of the great things that are happening Downtown -- it was a little prior to that timeframe." Not as much was happening in the other neighborhoods, either. Fredrick: "This was way before the microbrew and the neighborhood pub explosion. There weren't all the options for gathering together." Lyndsey Longshore: "Back in the day, on Wednesday, everybody knew that Party in the Park was going on, and it was the only thing that was going on. Now, you open your calendar on a Wednesday and there are 10 things going on." Rich Walburg: "In an era when you lined up around a movie theater to go see 'Star Wars' movies and 'Raiders of the Lost Ark,' it was the same thing. Party and the Park was the place to be on Wednesdays. That's where you would go to meet your friends, and you knew everybody that at least thought they were somebody was going to be there." Fredrick: "If the weather was beautiful, it was just the place to be." It wasn't only the Downtown workers among the thousands in the crowd, either. Longshore: "We always looked forward to it here in our office. It was always a guaranteed happy hour for everyone. Since everybody lives in Kentucky and Ohio and on the West Side, that was just a central area that everybody could meet and mingle together before heading home." John Schutte: "There were people that would come in on boats and dock at the Serpentine Wall for the event." 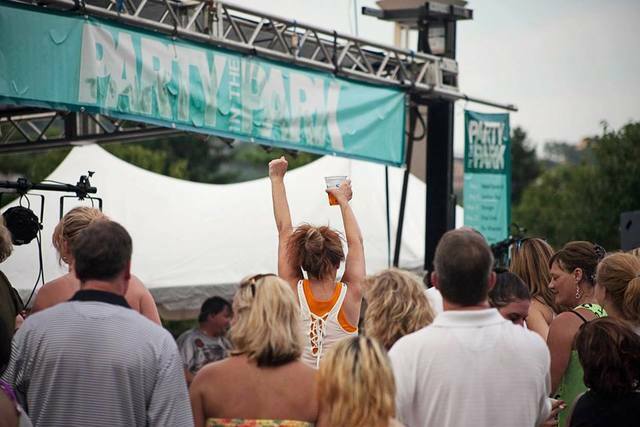 Thanks to all of those things, Party in the Park grew. Richardson: "The first time we threw it, we had no idea what to expect. And then slowly but surely, it kept on growing in popularity … eventually it grew beyond all expectations." Fredrick: "We thought that the demand and the appetite were big enough that Q102 could continue to do parties on the opposite Wednesdays." 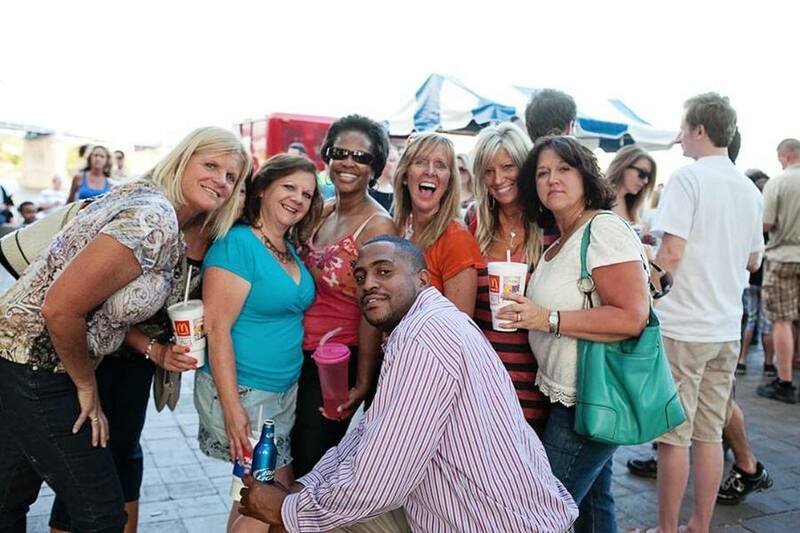 When Q102 bowed out of Party at the Point in 2011, the Chamber opted to keep Party in the Park going on a weekly basis, though for a slightly shorter season. Oxley: "We were getting a great crowd, and Q102 was getting a great crowd. So we felt like there was interest in having it every week." Fredrick: "What made them so successful? I think there was a great, a really cool vibe down on the river. I think that was a unique atmosphere. And there was a crowd. Like any party, a crowd attracts a crowd." And like any party, the beer was always flowing. Richardson: "We sold beer for 35 cents at the beginning … When we collected the beer money, it would surprise you how much money we'd made after charging 35 cents a pop." Longshore: "We thought, live music, being outside, being social with friends -- what ties in better than a nice, cold Bud Light? We always felt like it was a good event to be a part of." Long before you could swipe right, Party in the Park was also a place for singles to meet. Fredrick: "We always ran into people who told us they met (there) and eventually got married. It was one of those places you could gather and meet. It had a good energy about it. This was before the Tinder era." Oxley: "One of my former colleagues here at the chamber met her husband at Party in the Park. People came with their friends and ran into other friends and introduced each other, so you left knowing a lot more people than you went down knowing." At the same time, the parties drew families and others just looking to get outside and play. Schutte: "What I liked about it is, I would have a lot of my family (there). And a lot of the band members' families, from kids to parents to brothers and sisters, would be there, and they could kind of hang out." Longshore: "I thought it was always great that people felt like they could bring their kids there as well. When my friends started having babies, they brought them down to enjoy the festivities. It was an excuse to get everybody out of the house early, right after work." Schutte: "People would be hitting beach balls and tossing Frisbee and having picnics and talking to each other. It was just people wanting to get out and relax for a little while and doing whatever they enjoyed doing outdoors." 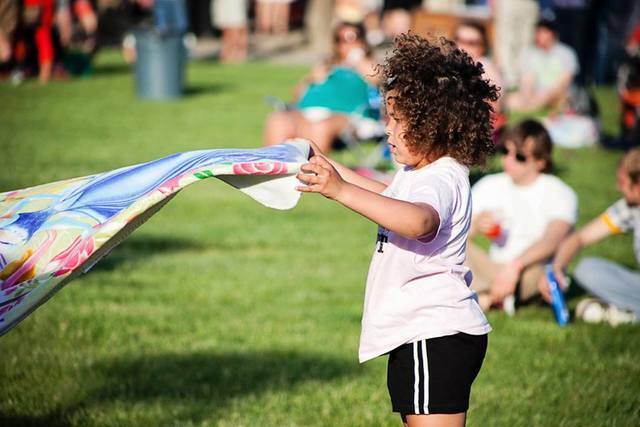 The event goers weren't the only ones having fun at Party in the Park. The series helped bands such as the Rusty Griswolds and Naked Karate Girls, both of which started playing at Party in the Park when they were relatively new, grow and develop. Jimmy King: "We always loved that show. We'd do it again in a heartbeat." Schutte: "I myself always looked forward to it." King: "It was just very eclectic; a lot of different people came down there, which is part of what made it so fun. The city made a great backdrop, having that at our back and the river in front of us." Schutte: "Back then, we played bars a lot on weekends, and we played festivals outside on the weekend evenings. This was a little different crowd. 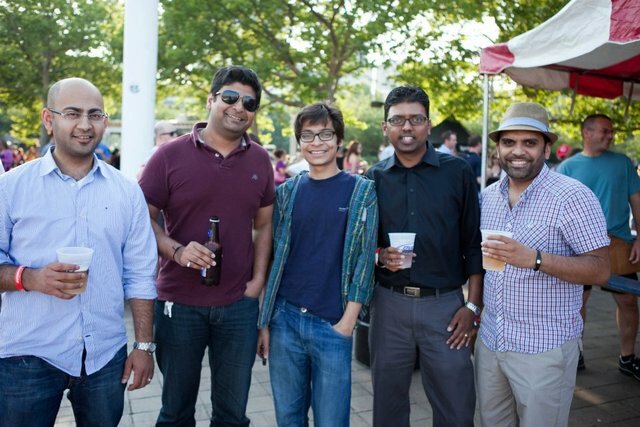 It was more young professionals, and after a day's work, they were ready to get out and enjoy seeing everybody and enjoy the park and the weather and the music. … At the time, it was probably one of the bigger crowds that we played. ... The stage was not a built-up stage; it was just on one of the concrete areas. So people could come right up and sing with us and dance with us and have fun with us." King: "The later it got, the closer to dark it got, the more everybody was right at the stage. Sometimes we'd have several thousand people that would be right there at the stage with us. For us, that made it a lot of fun." Schutte: "We were part of the party. It wasn't us on stage and them out there … I didn't feel like we were a show and people were sitting and watching. It was very interactive, and it was a lot of fun." King: "One of the things about Party in the Park is that if you're playing Party in the Park, you know you're one of the recognized bands in Cincinnati … That was a good mark about where your status of your band was. I think a lot of bands thought of it that way, too." Just like summer, Party in the Park couldn't stick around forever. 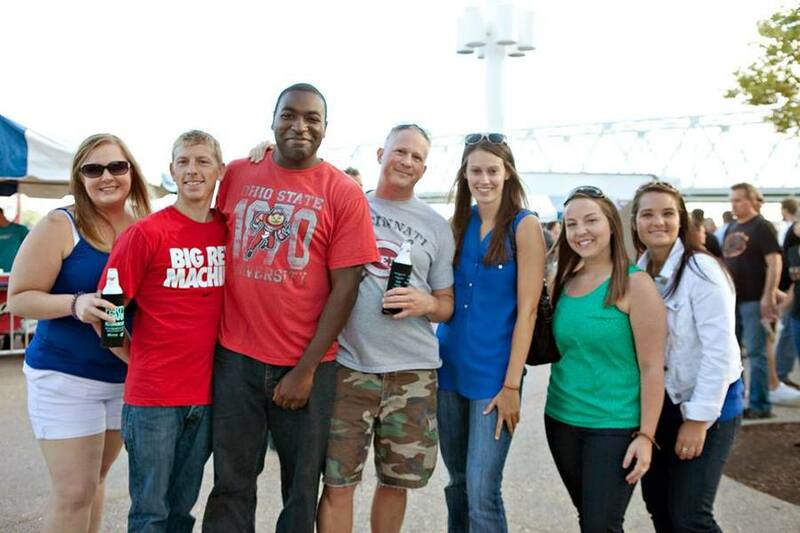 The Chamber opted to devote its resources to new events, such as Blink Cincinnati and the Asian Food Fest. Oxley: "I think it kind of ran its course. We were getting the same people who were coming 10 years ago. It wasn't really developing a new audience." Walburg: "We decided that after 40 years, Party in the Park had done a great job and brought a lot of people together, but it was time for a well-deserved retirement. And so now Party in the Park is enjoying an active lifestyle at Maple Knoll Village with the Prime & Wine and Swallen's and many other great Cincinnati traditions." Schutte: "I guess a lot of events kind of have a lifespan, where eventually they kind of die out and people move on to other things. (People) lose interest and the novelty wears off. That's disappointing, but maybe that makes it a little more special, that it only lasted so long and we can remember how much fun it was."